Aptly called a ‘city of contrasts’, Frankfurt is a city where the old and the new makes for a beautiful and vibrant hub of finance and tourism. More than being one of the formidable centres of European finance, the city is also a melting pot of expatriate culture. Frankfurt happens to be home to 180 other nationalities. The city of Frankfurt is located in the southwest part of Germany and can be found on both sides of the River Main. It is divided into six quarters which are again divided into 118 city districts. Frankfurt experiences mild weather year-round, although there is slightly elevated level of precipitation and humidity. Summer is hot and sunny with a bit of dampness every now and then. Winter starts in the month of November and lasts until February, with January being the coldest month. Light snow can also be expected, as well as a bit of windy weather. In these times, temperatures can slide below the freezing point. The city experiences rainfall of 640mm annually. Frankfurt is the fifth largest city in Germany and has a population of around 675,729 inhabitants. About 24.3% of this number is composed of expats from all over the world. Among the foreign population in Frankfurt are from Germany's European neighbours like Turkey, Albania, Serbia, Italy, Spain and Russia. The Asian population is also present in the Frankfurt demographic; among them are expats from India and Korea. It shouldn't be surprising for Frankfurt to have quite a considerable expat population, as it is the financial centre of Germany and one of the leading financial cities in Europe. In fact, based on a study by the University of Liverpool, Frankfurt is the richest city in the European continent based on GDP per capita. Frankfurt also happens to rank seventh with the highest quality of life worldwide. The city earned the nickname Bankfurt for being, quite literally, a city of banks. It is where you will find the heart of Europe's finances, the European Central Bank, and the home to the headquarters of three major German banks; Deutsche Bank, Commerzbank, and DZ Bank. Frankfurt also has the second largest stock exchange in Europe after the London Stock Exchange and it is the largest in Germany. Many expats love the idea of moving to Frankfurt because of its dynamic economy and significant role as Germany’s business centre. It is the heart of the country’s industrial, commercial and largest banking sectors so it’s no doubt that you will also entertain the thought of pursuing your career here. Aside from its high profiled employment reputation, Frankfurt is also famous around the globe for its rich history that is strongly felt in its enchanting attractions and vibrant communities. Here are some important guidelines that will help make your relocation in this multi-cultural city a real success. Owners usually post their properties in online portals including the locations, prices and photos. You can browse through these websites even before you arrive so you’ll have an idea of what to expect in Frankfurt’s housing market. Once you get in the city, you can look for rentals in newspapers or ask around some of your fellow expats if they have any referrals. But if you are not yet fluent in speaking German, the best way for you is to hire a local realtor that can help you communicate with the landlords and make your search faster with their wide range of options. There are two types of rentals in Frankfurt: ‘warm rent’ which includes the miscellaneous and heating fees and ‘cold rent’ where you have to pay extra for your utilities. The average monthly cost for your necessities (water, gas, and electricity) is €230. You can also apply for an unlimited internet connection which is roughly €25 per month and make local mobile calls at €0.10 per minute. 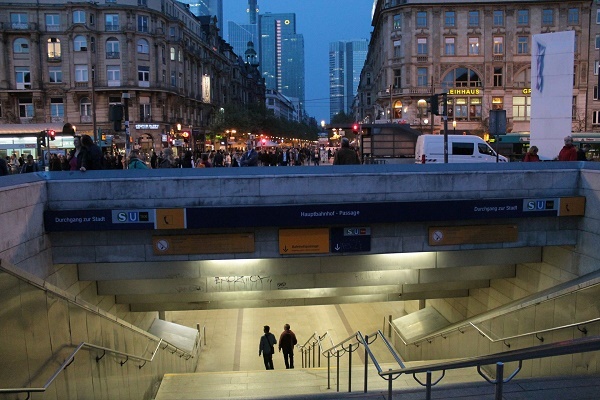 Renting a property is more common to expats in Frankfurt than buying one. You can always choose between a short term and long term lease agreement depending on your planned length of stay. Compared to other cities in Germany, the rental cost here is higher and most modernised apartments are situated in the city centre where the price of a one bedroom flat starts at €770 per month and €1550 for a three bedroom unit. You can also find accommodations outside the metropolitan where a one bedroom apartment usually costs €500 and a three bedroom unit is around €1100 monthly. A huge number of expats send their children to private or international schools where they are using English of bilingual in teaching. One of the most prominent international institutions in the city is the Frankfurt International School, which is currently handling the education of children from 50 different nationalities. There are also many public and state schools that you can choose from if you want your child to learn the German culture and language. The Goethe University Frankfurt is a leading local school known for providing excellent education since 1914. Though there are many shopping malls in Frankfurt where you can buy almost anything that you need, it’s still advisable to bring some of your essential belongings so you won’t fall out of budget especially in the first critical months of your relocation. You can seek help from international shipping and removal companies to aid you in the moving process. They have a door to door service to Frankfurt where they will oversee the delivery of your packages until it reaches your new home. It takes about 9-17 days for the containers to arrive in the Port of Bremen where the cargos will be delivered by land to Frankfurt after customs clearance. Follow this link to know more about the city’s import regulations. All pets entering Frankfurt should have a microchip as a form of identification. You also need to provide the original copies of your pet’s Rabies Vaccination Certificate, EU Health Certificate and International Health Certificate both issued ten days prior to import. Once you’ve covered all these initial preparations, everything will eventually fall into place. Frankfurt is a beautiful place filled with many possibilities, so breathe and patiently wait as you begin living the time of your life in Germany’s largest city. Frankfurt is the largest city in the state of Hesse which serves as Germany’s centre for business and finance. This thriving and lively cosmopolitan is not just oozing with cultural diversity but also with a beautiful contrast to the past and the future. Frankfurt is a city where modernised sky-scrapers co-exist with well preserved traditional and historical European architecture. Frankfurt is a home to foreigners who would like to start a career and those who would like to harness their cultural character. As Germany’s economic powerhouse, the city is the financial and industrial hub of Central Europe. As of 2015, the population in Frankfurt is 731,095, and the urban area which is Frankfurt Rhein-Main is 2,221,910. 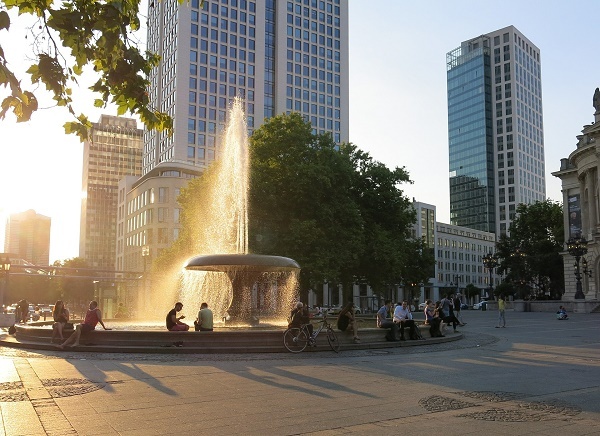 It is the fifth-largest city in Germany, and all expats living in the city are sure to enjoy a lavish lifestyle plus a life full of wonderful things to see and experience. Since Frankfurt is well known to expats as a place that would likely meet their life expectations, it is also essential that they have places for their kids to see in the city. Frankfurt is home to many art museums and galleries. One of which is the beautiful Senckenberg Museum of Natural History, Hessenpark and Rudesheim. Zoos are a top spot which most kids love to visit in Frankfurt. Two of the most famous places in this city are the Opel Zoo and the Frankfurt Zoo whereas the latter is green oasis nestled right in the centre of the Main metropolis. Frankfurt Zoo houses over 4,500 animals from about 450 different species. Frankfurt hosts some of the most significant trade shows in the world such as the Frankfurt Buchmesse (Frankfurt Bookfair) which is the largest event in the global publishing industry. There is also the Internationale Automobil-Ausstellung (Frankfurt Motor Show), the city’s most celebrated motor show held every two years. One of the many things most expats are excited about when moving to Frankfurt is getting to drive in the fabulous city. Foreigners who happen to be car enthusiasts as well are excited to drive through the popular Autobahn – the fast-paced federal controlled-access highway system in Germany. Driving around the city would never be a problem for any expats. In fact, the country itself has been tagged as the fourth largest automobile manufacturer – proof that the country is a car-loving nation. As Germany’s financial hub, it is definite that expatriates living in Frankfurt would have less trouble when opening a bank account. The process of opening a bank account in the city is simple and easy; expats would only need to present either a passport or a visa. Providing a bank account is necessary for foreigners in Frankfurt as they will need for their rental payments, among other fees. 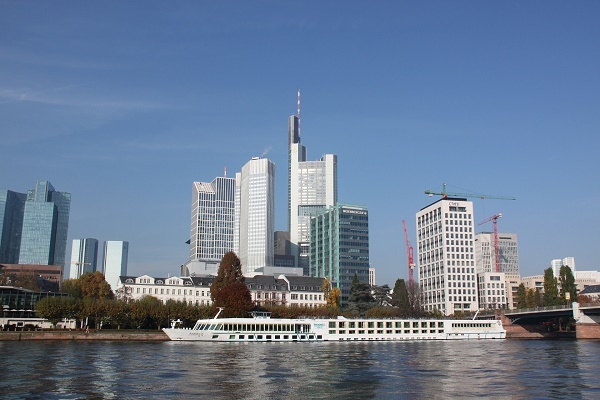 The international banks in Frankfurt include Deutsche Bank, Galileo, Commerzbank Tower and Frankfurter Sparkasse. Every foreigner coming to Frankfurt who does not know how to speak German would agree that learning the language or even understanding it is the greatest hurdle of all. For many, understanding more about the values of Germans such as punctuality, orderliness and privacy is deemed imperative. Appreciating their belief about how there is the proper time for every activity encounter and efficiency at your workplace is also some of the common values most Germans possess. Expats will also soon notice that it is rare to find an establishment in Frankfurt that is open 24/7. Those who came from countries where there are convenience stores that are open for the whole night will need to adjust to the life in this city. Most stores in the city centre close at seven or 8 pm while supermarkets only operate until 10 pm.